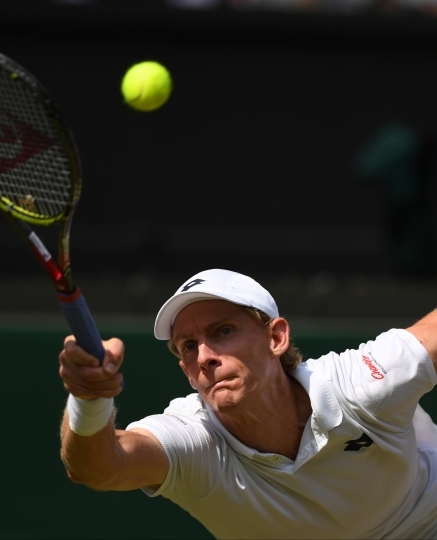 LONDON — To say that Kevin Anderson won this interminable Wimbledon semifinal, and that John Isner lost it, didn't really seem fair. To Anderson, anyway. 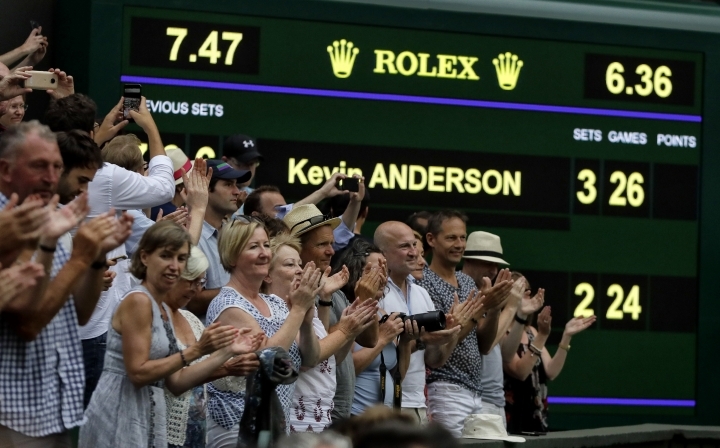 So when Anderson left Centre Court, well aware that his 7-6 (6), 6-7 (5), 6-7 (9), 6-4, 26-24 victory earned him the chance to win his first Grand Slam title at age 32, the South African said: "At the end, you feel like this is a draw between the two of us." He continued: "John's such a great guy, and I really feel for him, because if I'd been on the opposite side, I don't know how you can take that, playing for so long and coming up short." 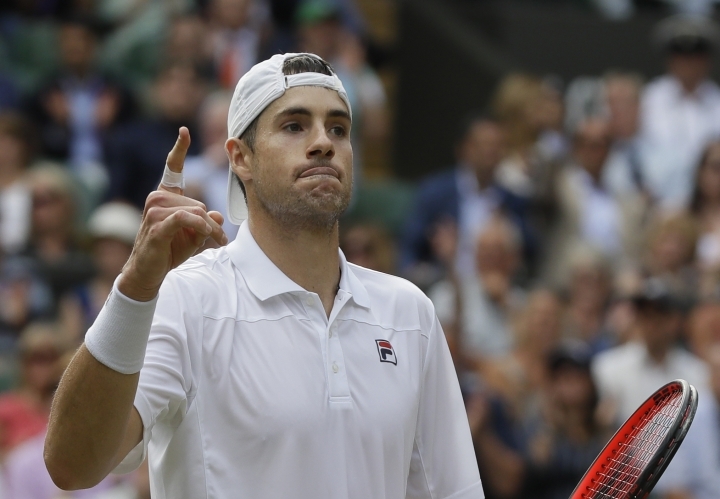 Only one match at Wimbledon ever lasted longer: Isner's 2010 first-round victory over Nicolas Mahut, the longest match in tennis history. It went more than 11 hours over three days and finished 70-68 in the fifth on Court 18, which now bears a plaque commemorating it. Friday's contest lasted so long, the day's second semifinal didn't finish. 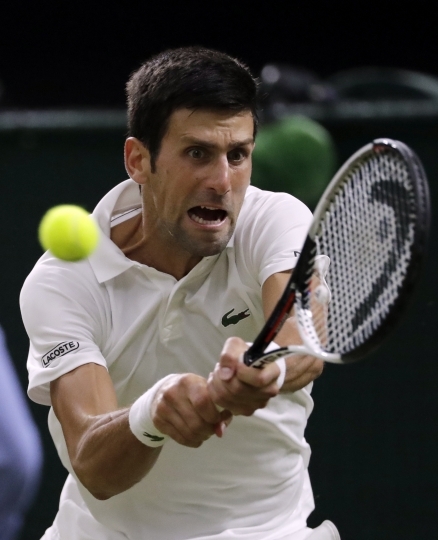 Novak Djokovic was leading Rafael Nadal 6-4, 3-6, 7-6 (9) in a compelling showdown filled with entertaining points that was suspended as soon as the third set concluded at just past 11 p.m., the curfew at the All England Club. Some people in the stands booed the decision to halt the match after a fantastic tiebreaker in which Nadal wasted three set points at 6-5, 7-6 and 8-7. Djokovic cashed in on his second when Nadal's backhand found the net after an 18-stroke exchange. 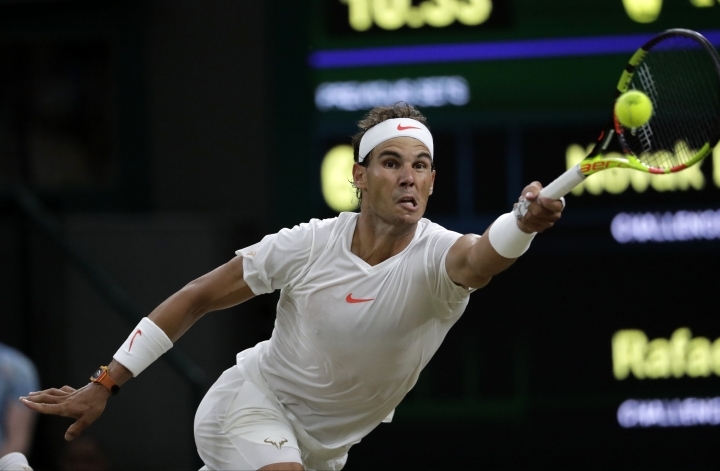 Because Nadal and Djokovic didn't begin playing until after 8 p.m., the retractable roof above the main stadium was shut between the matches and the arena's artificial lights were turned on. Now they'll come back Saturday to figure out who will face Anderson in the final, resuming at 1 p.m. local time, under the roof. The women's final between Serena Williams and Angelique Kerber will then follow. That creates an unusual situation: Instead of a standard 2 p.m. start, Williams and Kerber won't know exactly when their match will begin. 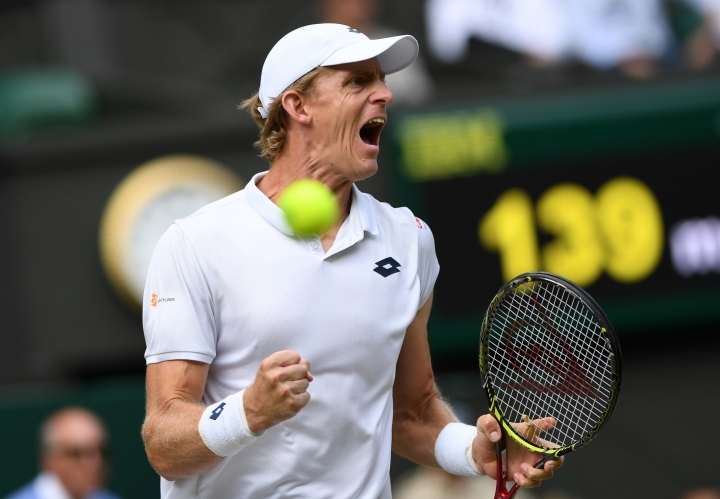 Anderson will certainly appreciate the chance to put his feet up ahead of Sunday's final, while Nadal and Djokovic — who have a combined 29 Grand Slam titles between them, five at Wimbledon — push each other some more. 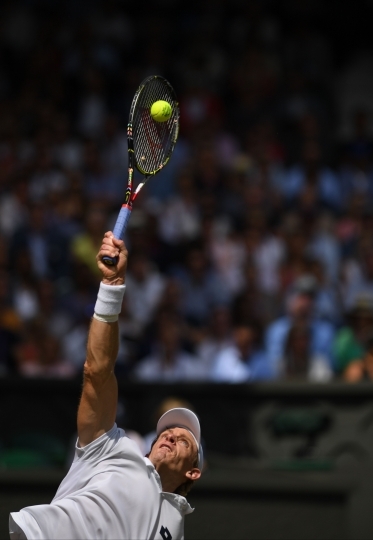 Anderson's fifth set alone lasted nearly 3 hours as his semifinal became a test of endurance more than skill. "He stayed the course incredibly well," said the No. 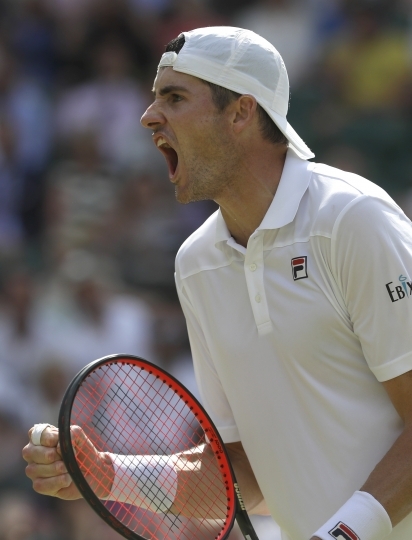 9 seed Isner, a 33-year-old American playing in his first major semifinal. "Just disappointed to lose. I was pretty close to making a Grand Slam final and it didn't happen." "That definitely brings a smile to my face," said Anderson, the runner-up to Nadal at last year's U.S. Open. "At that stage, you're just trying to fight in every single moment, and I was like, 'Just get up!'" The No. 8 seed Anderson eliminated eight-time Wimbledon champion Roger Federer in a 13-11 fifth set in the quarterfinals Wednesday. 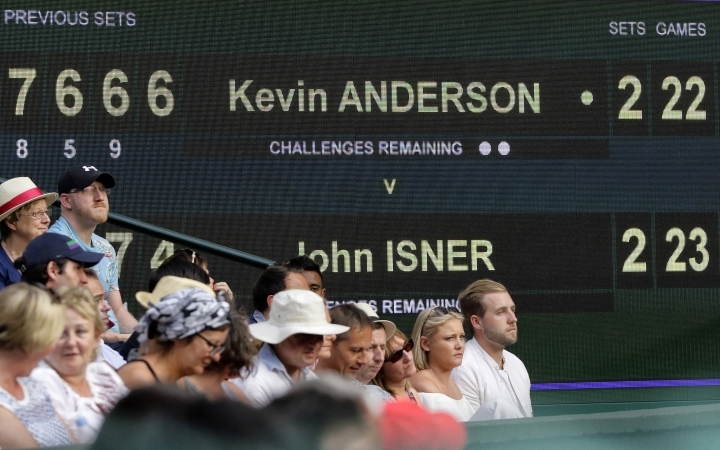 Between that and the energy-sapper against Isner, it's hard to imagine how Anderson will have much left for his second Slam final. At one point in the fifth set, a spectator shouted, "Come on, guys! We want to see Rafa!" There wasn't a whole lot of intrigue, or momentum shifts. The serving, though, was something else. 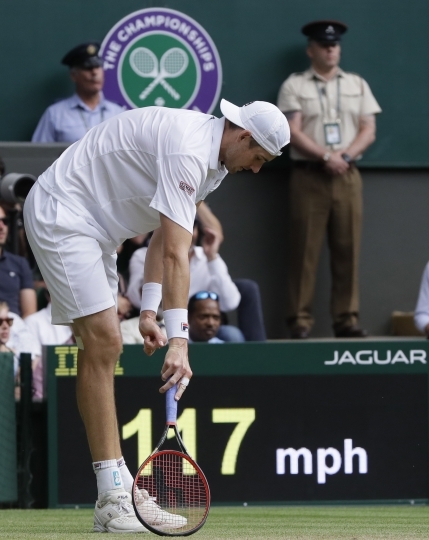 Isner pounded his at up to 142 mph; Anderson reached 136 mph. 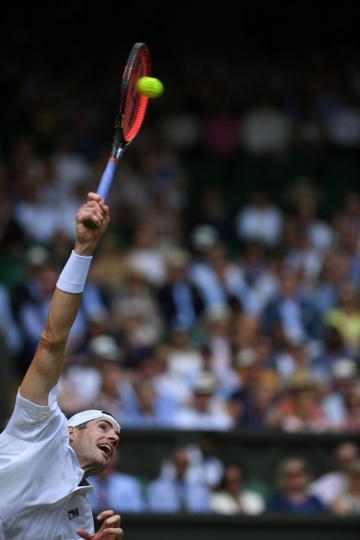 They combined for 102 aces: 53 by Isner, 49 by Anderson. 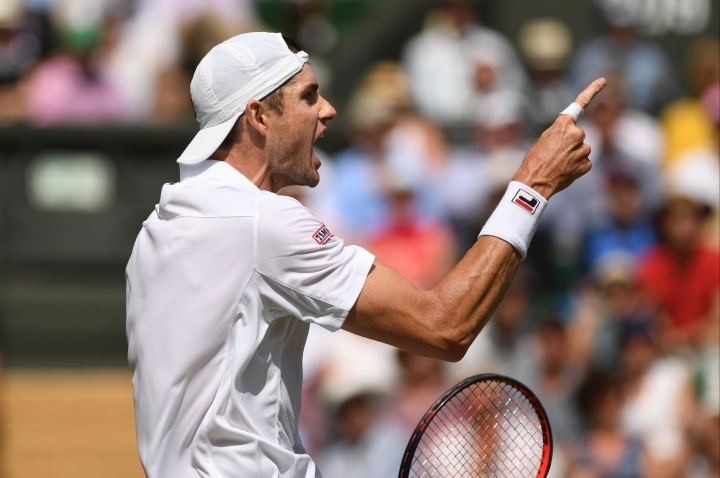 "The effort they both put in and the performance and the guts, the way they competed — a lot to be proud of," said Justin Gimelstob, one of Isner's coaches. By the latter stages, with break chances so rare, murmurs would spread through the Centre Court stands whenever a game's returner got to love-15 or love-30. Repeatedly, the answer was, of course, "No," even when Anderson held break points at 7-all, 10-all and 17-all. The 10-all game ended with Isner hitting a forehand passing winner on the run to hold, then letting his momentum carry him directly to his sideline chair, where he plopped himself down. 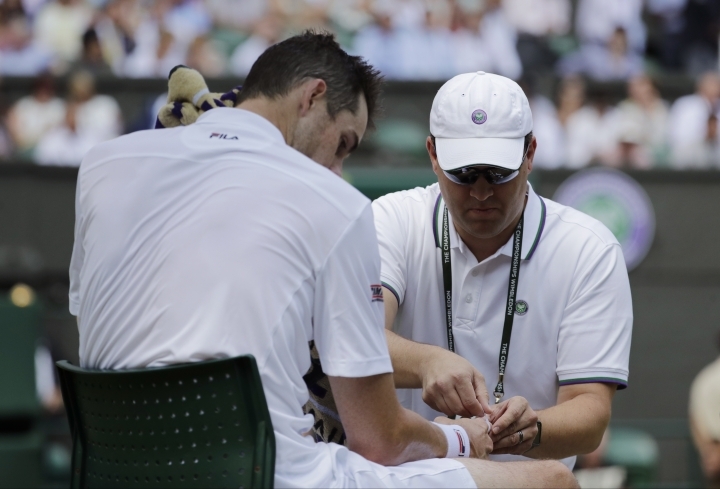 "I feel pretty terrible," Isner said afterward. "My left heel is killing me and I have an awful blister on my right foot."